Instead of writing your resume FOR you, Get Results Career Services will write your resume WITH you. Your voice, your personality and the unique benefits you can offer an organization will be highlighted in your custom-crafted job search tools. Through informational materials and educational videos, we will be here to support you and serve as an advisor throughout your career. 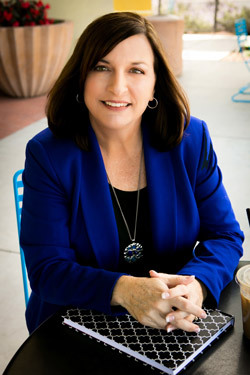 Lori Norris founded Get Results Career Services in 2004. She began her career educating job seekers in all aspects of the job search. However, she saw an opportunity to assist job seekers when she noticed how much most people – regardless of their level or career specialty – struggled to write their own resume. Since launching her business, she has helped thousands of customers create compelling resumes, cover letters, LinkedIn profiles and job search strategies that help them get the results they desire. We can’t promise you a job, but we can certainly get your phone ringing for interviews! Prior to entering the career services industry, Lori spent 8 years as a corporate hiring manager with a major retail corporation. This background in screening resumes and interviewing candidates gives her an understanding of the other side of the hiring process. Her knowledge of hiring practices ensures that your resume will be prepared with consideration to the needs and wants of the hiring manager. Today’s job search almost always requires that you make it through an Applicant Tracking System (ATS). Our team keeps current knowledge of the job search industry standards and requirements. Lori is a Certified Professional Resume Writer (CPRW) and certified Job and Career Transition Coach (JCTC). Most importantly, she is committed to continuing education and training. In addition, Lori maintains relationships with recruiters and human resources managers of major corporations to keep up-to-date on what prompts these decision makers to call candidates for interviews. In 2005, Lori began volunteering at Luke Air Force Base, where she facilitated portions of the Transition Assistance Program. From 2013 to 2016 she taught the intensive 3-day Department of Labor portion of the program as a contractor. She has assisted thousands of military service members to transition successfully out of all branches of the military. Through this experience, she has gained her status as a “bilingual” military skills translator by helping market their transferable skills into private sector and federal government employment. In 2017, she launched the Veteran Transition Network, a resource and education portal to continue her focus as a veteran employment advocate. Lori has been featured in articles in the Arizona Republic, East Valley Tribune, Luke Air Force Base Thunderbolt and the Job Examiner. 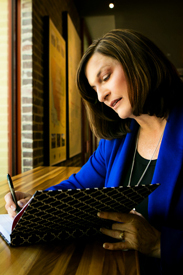 As a member of the Professional Associate of Resume Writers, Career Directors International, the Resume Writers Council of Arizona and the National Resume Writers Association, Lori continually develops her skills as a resume writer. 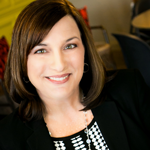 In addition, Lori has previously served as the Secretary and Treasurer of the Resume Writers Council of Arizona. Lori is a former Regional Representative of the National Resume Writers Association as well. As a trainer who has taught job-seeking skills since 2002, Lori’s workshops are informative and motivational. The information contained in the workshops taught by Lori assist the job seeker in navigating the job search process to obtain positive results much more quickly. Job seekers who attend the workshops taught by Lori leave feeling positive, confident and prepared for a successful search. What sets Get Results Career Services apart from the competition is the personalized service it offers to every customer. When you call Get Results Career Services, you won’t be asked to fill out forms or worksheets. Your skills and accomplishments will be discovered through an individualized, one-hour consultation. STEP ONE: Call or fill out our online contact form to schedule an initial consultation. In this consultation, we will answer any questions you may have about the process, discuss your price quote and define the project schedule. STEP TWO: Spend an average of 60-90 minutes in an intensive, personalized one-on-one conversation with one of our writers. In this meeting, we will discuss your target career and companies and define your transferable, relevant skills we will highlight. STEP THREE: Within 7-10 days, you will receive the first draft of your resume. Though this is a completed document, we WANT you to provide any feedback or changes you may have. We are PARTNERS in this process of marketing you! STEP FOUR: You receive your final draft and start sending it out to potential employers. STEP FIVE: Your phone starts ringing with interview opportunities! Other resume writing companies use cookie cutter templates and time-consuming forms that treat your resume like a product that just arrived off of an assembly line. Instead of writing your resume FOR you, Get Results Career Services will write your resume WITH you. Your voice, your personality and the unique benefits you can offer an organization will be highlighted in your custom-crafted job search tools. Get Results Career Services understands that your resume is a very personal representation of you and should be tailored to your individual needs. You must be 100% comfortable that the information contained in your resume effectively markets you to potential employers in the best way possible. You are an active participant in the process of preparing your resume. Don’t worry if you’re unsure of your skills and accomplishments. The experts at Get Results Career Services will help you uncover your skills during our intensive interview process. Get Results Career Services firmly believes that your resume must be an individualized representation of what makes YOU the best person for the job. You will be 100% comfortable with the results of your resume prepared by the experts at Get Results Career Services. Get Results Career Services has been in business since 2004 and we attribute our achievements to our sincere concern for our customer. The bottom line is this: your success is our success. We are confident that our experience and track record of success will create a resume that will get you the results you’ve been looking for – more interviews. Our goal is to help you to represent your skills, abilities and accomplishments as effectively and accurately as possible. 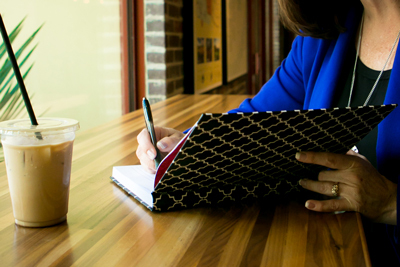 We strive to write your resume right the first time. Apparently it’s working; we have over a 99% satisfaction and success rate and more than 80% of our customers come from referrals.